Weiss Pediatric Care is accepting new patients! Keep reading to find out about our “back to the future” care for kids and meet our amazing team, including our award-winning, Dr. Weiss and our two nurse practitioners, Ali and Tara, who are especially popular with our preteen and teen girls. If you’re new to the area or are looking for what we like to call “back to the future” care for children of all ages, Weiss Pediatric Care is for you! Back to the future care is what all kids deserve but is often lost in our current health care system where things move so quickly and long-term relationships with doctors and a care team are becoming extremely rare. Weiss Pediatric Care is a place where we build relationships with our children and their families, where there is a focus on the whole child, social, emotional, behavioral, developmental, as well as physical health and well-being. A place where families have access to care, information, education and support whenever they need it. It’s kind of like the old days at Weiss Pediatric Care where we take our time, where we really do know everybody’s name, where we use the most up-to-date science to inform our care, and where compassion and kindness are the foundation of our work. In addition to Dr. Weiss, Weiss Pediatric Care has two highly trained nurse practitioners, Ali Griffin and Tara Cocco. Both are loved by all our patients and have a special connection with our preteen and teen girls. And because we value education and training, all three of our nurses – Rosemary, Skylea and Savanah – are LPN’s, a designation that distinguishes them from many other clinical teams. Two of them are also certified breast-feeding counselors, and all three provide asthma education for our patients. Ashley, our Front Office Coordinator, answers all your calls and greets you when you arrive with her winning and warm southern charm, and ensures that your visits run smoothly and that all your needs are met. Diane serves as our parenting, child development, and pediatric sleep specialist. Whether at the time of a visit or over the phone, she answers your questions and provides expert guidance and support. Finally, there’s Elliot, Weiss Pediatric Care’s therapy dog. You just have to meet him to appreciate how much he adds to patient care! Call us today at 941-552-8341. We can’t wait to meet you! It’s when parents and families describe our care that we know that we’re truly living our mission: to provide care that is responsive, compassionate, family-centered, and accessible. Here’s a sampling of parent reviews that you can find on Facebook and other social media sites. 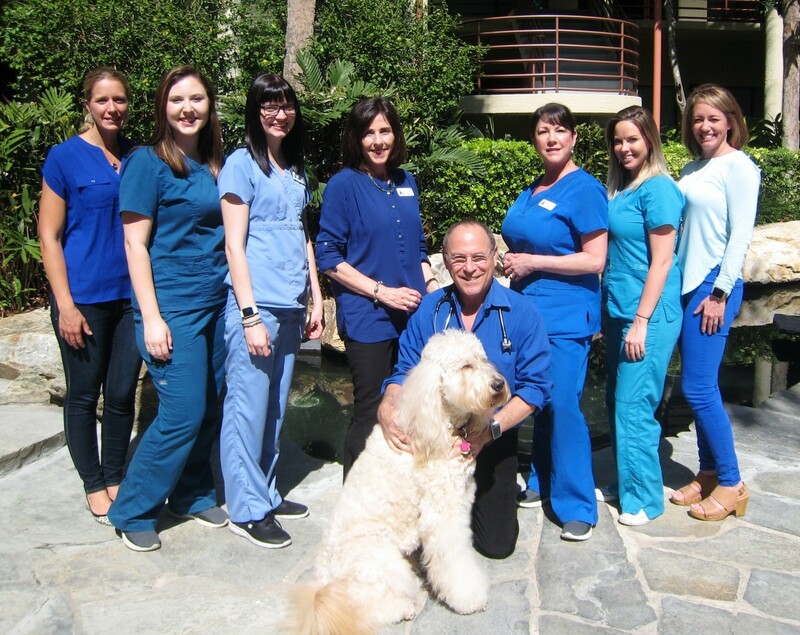 ~ Dr. Weiss and his staff are caring and wonderful! My baby received the very best care! As a first-time mom I appreciated the guidance and help. I had a lot of difficulty with breastfeeding and I received so much support. Anytime I called with a question or concern, they listened and gave me answers or had me bring my little boy in. 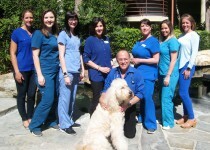 ~ The staff is efficient, compassionate and intelligent. The office is run beautifully. Dr. Weiss is a good man with a deep commitment to quality medicine and the families he serves. ~ My daughter ASKS to go visit Dr. Weiss–need I say more? After trying other pediatricians, I can very confidently say that we’ve found our doctor. Dr. Weiss and his team offer unprecedented care to Sarasota kids. ~ The best pediatrician in town! My family has been a part of this practice for the past 7 years since I moved to Florida. As an employee in the healthcare administration field, I have seen my share of good and bad when it comes to service. This practice is exceptional. From the office staff, the nurses and Dr. Weiss himself, my family and I have always been treated as if we are their only patients. It is refreshing to know that even when I call multiple times a day for reassurance or guidance, they are right there to support me. Thank you for providing outstanding service to my family! ~ It has been many years since I encountered a true family-oriented medical doctor like this one. I can hardly believe my good fortune that my three children have found this level of care. ~ If you are one of those parents who knows that there are great doctors and there are even greater doctors, then that is why you are on this website researching these doctors and reading my review right now. Dr. Weiss is one of the greatest, if not the BEST pediatrician out there. I know this because he has taken exquisite care of my son… And I am not saying this because he’s really nice and has a pretty office, (although he is very nice and does have a pretty office) but mainly because of the following logical reasons: #1 One of the first things he told me when my son caught a bug was that he treats his patients- not the lab, which he has always proven to be true. #2 I can ALWAYS speak to him or any his wonderful staff 24/7 if I ever have a question or concern. I also use their helpful website to look up the latest medical advice for whatever symptom my son is having at the moment #3 I have never once felt rushed or uninformed and Dr. Weiss does a VERY thorough exam at every visit- even when his waiting room is full. #4 His credentials are superb (main reason why I picked him in the first place) #5 He explains everything to us in perfect detail and listens carefully to all your questions/concerns. #6 He has always seen my son on the SAME day when I’ve called because he had a cough or fever. I don’t think he gets a lunch sometimes and I’m sure his staff doesn’t either! And finally #6 His entire team are nothing but compassionate, professional, and always on point. Needless to say, no one in this practice misses a beat. If you are looking for the best care for your child and yourself as a parent, look no further.